are you feeling those winter chills and winter blues? are you stressed about Christmas shopping? have you heard one-too-many jingling bells? 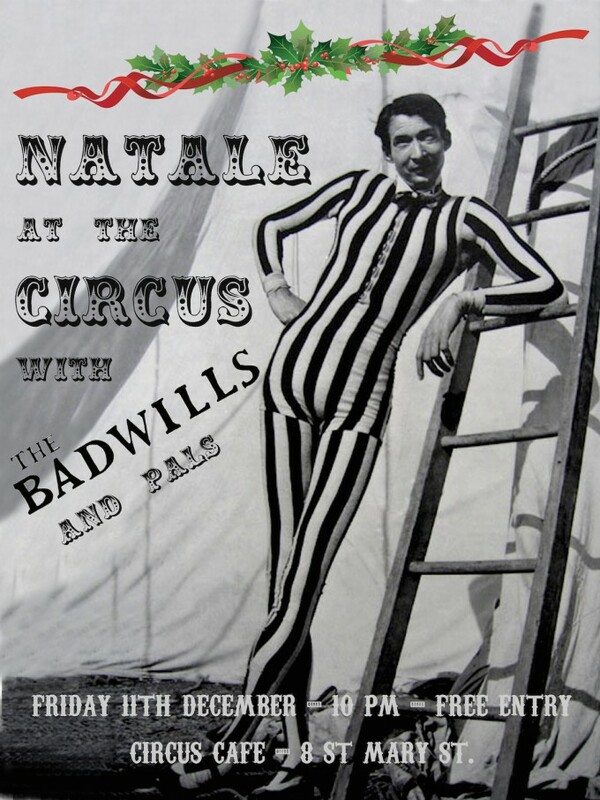 Then come to The Badwill’s annual Xmas – Natale bash at Edinburgh’s charming Circus Café. Dance it all away with us, let your feet itch and stomp with the power of Tarantella to drive the cold season away. Bring your loved ones to kiss, your hated ones to hug, and your so-and-so’s to let them have a good time too. The Circus Café is on 8 St Mary St (Edinburgh Old Town).